Director – John Lasseter, Co-Directors – Ash Brannon & Lee Unkrich, Screenplay – Doug Chamberlain, Rita Hsiao, Andrew Stanton & Chris Webb, Story – Ash Brannon, John Lasseter, Andrew Stanton & Peter Docter, Producers – Karen Robert Jackson & Helene Plotkin, Photography – Sharon Calahan, Music – Randy Newman, Production Design – William Cone & Jim Pearson. Production Company – Pixar Animation Studios. Woody is abducted by toy collector Al McWhiggin where he becomes the last piece to make up a complete set of toys from the original 1950s ‘Woody’s Roundup’ tv series. There Woody meets his female companion Jessie, plus Stinky Pete the Prospector and Bullseye the horse. The others implore Woody to stay so they can be together as a collector’s set and adored by thousands when Al sells them to Japan. Meanwhile, Buzz Lightyear leads the other toys on an expedition to rescue Woody. In Al’s toy warehouse, Buzz is accidentally swapped with a brand new Buzz Lightyear doll who, failing to realize he is not a toy, recklessly takes charge of the expedition. 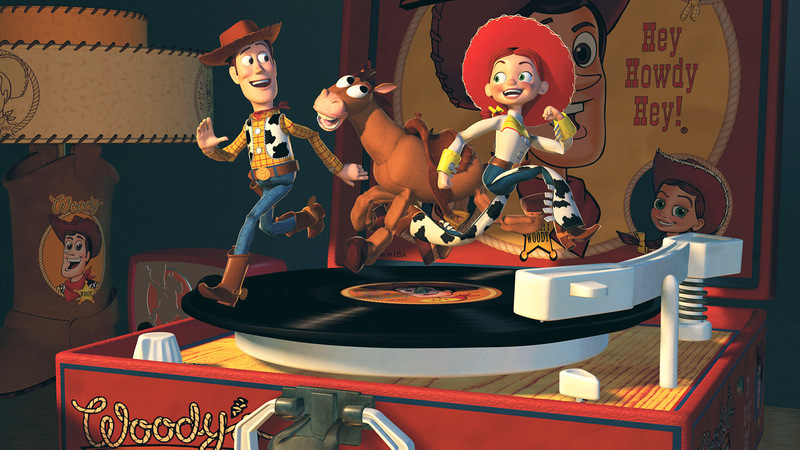 When Toy Story (1995) came out, it was one of the freshest and most inventive animated films made in some time. 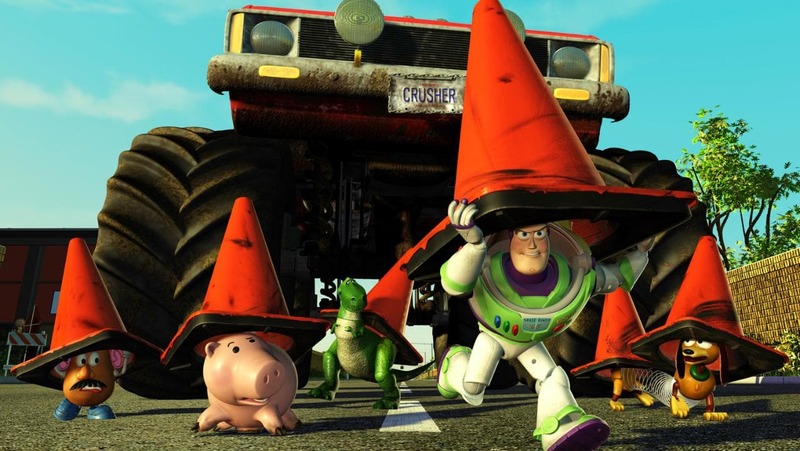 Aside from being the world’s first CGI animated feature, Toy Story was a witty and original film with strong story values, not to mention it won popularity with the audiences that count – both children and adults alike. It made the name of Pixar who went onto make this sequel and other hits such as A Bug’s Life (1998), Monsters, Inc. (2001), Finding Nemo (2003), The Incredibles (2004), Cars (2006), Ratatouille (2007), Wall-E (2008), Up (2009), Brave (2012), The Good Dinosaur (2015), Inside Out (2015) and Coco (2017). The motivations behind an animated sequel seem even more dubious than in the case behind most sequels. This can be clearly seen in Disney’s plague of direct-to-video sequels of the 1990s/early 00s – The Return of Jafar (1994), The Lion King II: Simba’s Pride (1998), Pocahontas II: Journey to the New World (1998) et al and the Little Mermaid (1992-5) and Aladdin (1993-6) tv series’ – that cynically exploit their feature-length counterparts for the sole reason of milking more money from an undiscerning child audience. (Ironically, Toy Story 2 director John Lasseter made a point of cancelling these Disney sequels when he became Disney’s chief creative officer in 2006). Animated films work on simple mythic plotlines that make them best when they work as one-off stories. Toy Story 2 quickly allays all these fears. It is arguably an even better film than the first Toy Story. Pixar have correctly placed the emphasis on plot and character rather than upping the rendering rate and throwing in animation that is more wondrous. There is a small tendency to do this with a series of razzle-dazzle set-pieces – the attempt to cross the roads hidden under traffic cones, the climactic boarding and escape from the plane to Japan. However, while these are dramatically enthralling, the emphasis always remains on story. 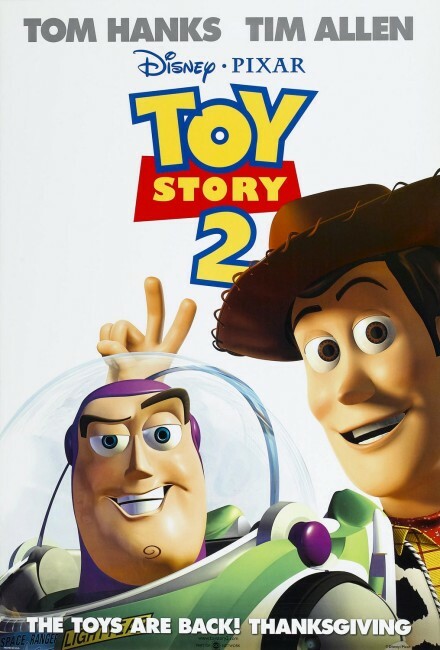 In this respect, Toy Story 2 is a model of what all good sequels should be – it expands and allows the original characters to grow while fleshing out their background. The story emphasises moral choices with Woody having to make a difficult decision between living with his family and going to Japan and being adored forever or returning to Andy who will eventually grow up and abandon him. (One might note here that Toy Story 2 eventually comes down on the side of a subtle emphasis where toy collecting by adults is seen as stifling as opposed to toys collected by children, which is seen as innocent and loving). The secondary story is an adventure story but this is anything but straightforward. Here the film manages to wittily deflate any standard adventure at every point. It comes packed with all manner of witty and knowing asides about toys and toy collecting. A trip to the toy warehouse contains an encounter with a rack of Barbie dolls who are seen engaged in an Hawaiian party like some manic outtake from a Gidget movie. (Pixar have clearly gotten the licensing for Barbie from Mattel, something they were unable to do for the first film where the Bo Peep character was to have been played by Barbie). There are even snide digs at their own licensing – “This is Buzz Lightyear, who was first introduced in 1995 – the popularity of which toy stores were unprepared for and unable to make demand,” says Tour Guide Barbie, tossing a barb in the direction of the failure of toy companies to pick up on the popularity of Toy Story. The funniest gag is the parody of The Empire Strikes Back (1980) between Buzz Lightyear and his archenemy Emperor Zurg wherein comes an “Luke, I am your father,” revelation – the last we see of the two characters is a game of catch with Zurg’s pellet gun. The most memorable scene in Toy Story 2 is the song sung by Jessie in memory of her human owner, which is filled with some beautifully plaintive moments of loss and sadness. It is a scene where the film stops still for a couple of minutes and holds the entire audience spellbound. Pixar went onto make two further sequels with Toy Story 3 (2010) and the upcoming Toy Story 4 (2019). (Winner for Best Sequel/Remake at this site’s Best of 1999 Awards. No. 3 on the SF, Horror & Fantasy Box-Office Top 10 of 1999 list).